Usually for a date you would start out with a dinner than afterwards some drinks at a club somewhere. This time we had something different, an evening at the spa. 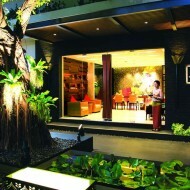 Not just any spa but a spa with a view to match the evening ambiance. Langsuan road is a quite street filled with upper scale restaurants, condos, service apartments, and residences. Not an area well known for spas. 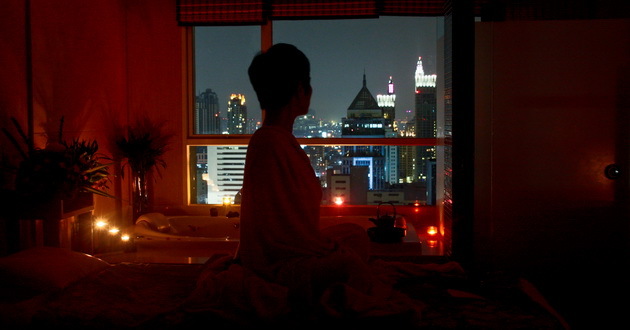 On the 32 floor of the Fraser Place Urbana Langsuan service apartments is where the spa is located, the Terra Cotta spa. It shares the same entrance with the fitness. The small reception may be misconceiving for a spa, but the treatment rooms are all equipped with what you would expect for a nice spa. 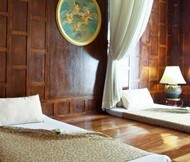 Apart from the treatment beds and shower all the treatment room are setup with a jacuzzi by a large window over looking the tremendous view of Bangkok. 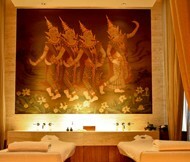 We were recomend a package treatment that includes a scrub, a milk bath, and an aroma massage. The scurb has 4 chioces; Oat milk, coffee, red wine, and chocolate. For the aroma oil there were 3 choices; relaxing, energizing and romance. The session started with the scrub, the coarsely crushed coffee bean smelled refreshing. You can just feel that it is working wonders for the skin. 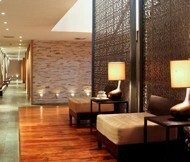 After the thorough body scrub by our therapists, the warm milk bath was waiting for us. The tub was filled with a milk mixture and flowers. 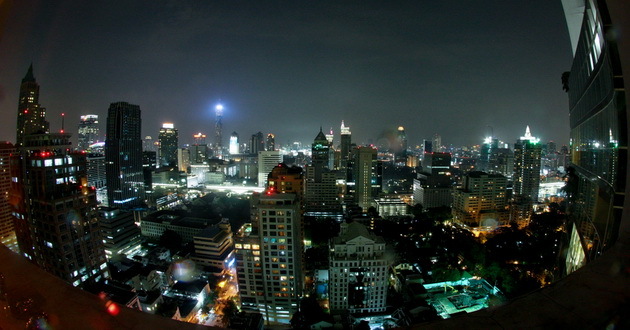 For half an hour we were left alone in the dark room while the jacuzzi is running and the view of Bangkok was as beautiful as ever. 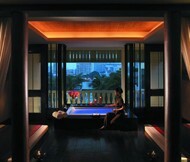 The warm Jacuzzi was relaxing especially when you can see Bangkok breathing below at night. The Aroma massage was very well carried out. A mixture of fingers hands and elbow in slow continuous motions. The therapist did a great job to emphasis the parts where you needed it most which for me was almost everywhere. She was very careful not to miss any part. All of this really did the trick to make a start of a perfect evening. What is special about this place is the service and having the sense that you are being pampered at 32 floors above the ground with the stars.